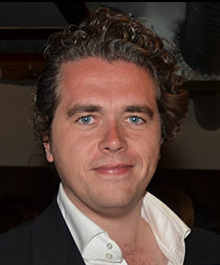 Lorne Balfe (born 23 February 1976) is a Scottish music producer and composer for film, television, and video games. He is best known for composing music for films such as Mission: Impossible – Fallout, iBoy, and 13 Hours: The Secret Soldiers of Benghazi, DreamWorks animated films Home and Penguins of Madagascar, video games Assassin's Creed 3 and Crysis 2, Skylanders and the Call of Duty franchise. He has a studio at Hans Zimmer's company Remote Control Productions, and has collaborated with him on multiple projects. He sometimes composes under the pseudonym "Oswin Mackintosh". Additional music for "The Journey: Champions"
^ Lorne Balfe [@Lornebalfe] (18 August 2016). "#TBT Shoebox Zoo for the BBC . This was my first TV show . Listen to the main theme" (Tweet) – via Twitter. ^ Hopkins, Tom (August 31, 2018). "Full FIFA 19 Soundtrack Revealed; Hans Zimmer Working on The Journey's Score". Twinfinite. Retrieved August 31, 2018. This page was last edited on 20 March 2019, at 03:41 (UTC).